We’d love your help. Let us know what’s wrong with this preview of Gilgamesh in the 21st Century by Paul Bracken. "Must I die?" asked Gilgamesh. Forty five centuries later, we're still asking the same question. Science writer Paul Bracken embarks on a lighthearted assessment of the human condition, to explore what it means to be mortal, and what our fate may be. This scientific reimagining of the ancient Gilgamesh quest delves into a multitude of topics including the origin of life, t "Must I die?" asked Gilgamesh. Forty five centuries later, we're still asking the same question. Science writer Paul Bracken embarks on a lighthearted assessment of the human condition, to explore what it means to be mortal, and what our fate may be. This scientific reimagining of the ancient Gilgamesh quest delves into a multitude of topics including the origin of life, the workings of the human mind, and the possibilities for life prolongation. The ancient Gilgamesh was so distraught at the death of his friend Enkidu, and so sickened by the knowledge that he too would die, that he rebelled against his fate and set out on a search for salvation. Likewise, at the age of eleven, Bracken wondered if there might be a way to bring his grandfather back from the dead and has been pondering this question ever since. Is death a problem to be solved, or is it an essential aspect of our humanity? -- IAN TATTERSALL, American Museum of Natural History, New York City. "In his Gilgamesh in the 21st Century Paul Bracken mixes ancient myth, modern science, and science fiction futurism on an intellectual quest to explore the meaning of human existence by confronting and challenging the inevitability of mortality. This is both a highly personal inquiry into the uniquely human knowledge of personal finitude and its implications for human psychology and culture, and a scientifically motivated investigation into the dreams and schemes to extend life. He even unsentimentally speculates about a future without human death and how these immortals might look back on our Age of Death. In his search for physical immortality we are given glimpses of innumerable ways that people confront this destiny and how some are attempting to understand the science of its relentless clockwork in hopes of outwitting it. In the end mortality stands unmoved, but we have a renewed appreciation of how this distinctly human knowledge and our ubiquitous antipathy to its inevitability have defined our humanity." To ask other readers questions about Gilgamesh in the 21st Century, please sign up. This is a good book with one major challenge - the title. Yes, the Epic of Gilgamesh is one of the earliest recorded stories to introduce the concept of immortality - but its link to the excellent discussion in this book on Western Man's exploration of mortality is incidental. It is hard for me to see this title bringing the book to the proper notice of its main audience. Getting beyond this, it is a very good book dealing with complicated issues in an approachable manner. I enjoyed it as an easy This is a good book with one major challenge - the title. 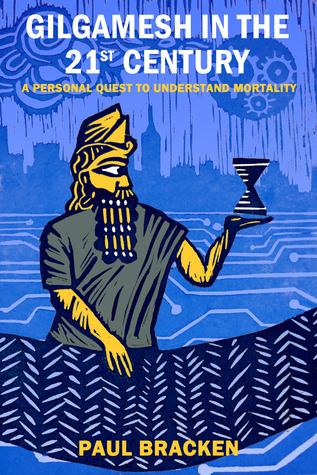 Yes, the Epic of Gilgamesh is one of the earliest recorded stories to introduce the concept of immortality - but its link to the excellent discussion in this book on Western Man's exploration of mortality is incidental. It is hard for me to see this title bringing the book to the proper notice of its main audience. Getting beyond this, it is a very good book dealing with complicated issues in an approachable manner. I enjoyed it as an easy way to get up-to-date on the research and philosophy of death and immortality from primarily a scientific point of view. It is well directed at readers who want to better understand our present view of the mind and brain without having to get lost in a series of University courses. The style is nicely personal - both in the personal history and light hearted moments presented. These moments help readers remember their own questions and history in relation to the topic. For those searching for deeper insights, it may be a bit of a disappointment. There are quick shifts among questions concerning life/mortality/intellect/brain/consciousness without sufficient consideration of our understanding of their relationship to one another. One question that arises in the Epic of Gilgamesh that could have been explored in more depth concerns the purpose of life/consciousness before death - what is the purpose of our mortality? This is more the theme of our Awakening Higher Consciousness: Guidance from Ancient Egypt and Sumer.